This was a very modest kingdom, but it was his. I’ll never forget the day when he took possession of his new domain. His happiness was enough to move us all. 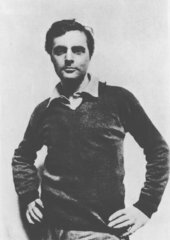 Modigliani’s final studio still exists, but almost 100 years after the artist's death, its appearance has changed significantly. 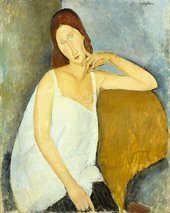 Through study of documentary material and of Modigliani’s works themselves, the environment in which the artist made his last works is reimagined. In this VR experience you can immerse yourself in a virtual reality recreation of Modigliani’s final studio, which uses the actual studio space as a template. The Modigliani VR: The Ochre Atelier can be experienced as part of the Modigliani exhibition at Tate Modern 23 November 2017 – 2 April 2018. A limited number of visitors will be able to view the VR experience on a first-come, first-served basis by joining the queue outside room 10 of the exhibition. Average wait is 25 minutes. What is the VR about? The Modigliani VR: The Ochre Atelier reimagines Modigliani's final Parisian studio, where he lived and worked in the final months of his life in 1919 and 1920. A previously undocumented space, the artist's studio has been brought back to life through more than 60 objects, artworks and materials. 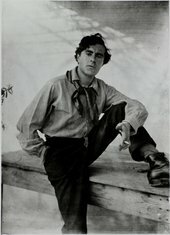 Almost 100 years since the artist's death, hear the words of those who knew Modigliani best and explore the studio where he is likely to have painted Self-Portrait 1919. 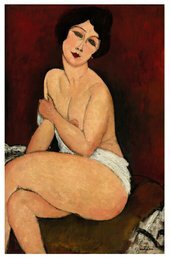 How did we recreate Modigliani's studio? There are no photographs of the studio from the 1910s. Using the actual space as a template, as well as first-hand accounts, historical and technical research, we reconstructed the studio to accurately reflect the artist's living environment. Each object included in the experience has been carefully researched, validated by art historians and modelled authentically by the team at Preloaded. This includes the cans of sardines, the cigarette packet and even the way the windows would have opened to let the light in. It took more than five months of rigorous research to meticulously recreate the studio, its interiors, objects and the artworks shown. The experience was brought to life by multiple teams at Tate including AV, Conservation, Curatorial and Digital. This involved a research trip to the Parisian studio as well as collaborative work with artists, designers, developers and producers at Preloaded. 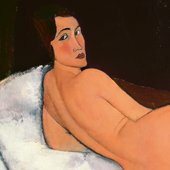 How did we recreate Modigliani's artworks? As part of a Tate-led Technical Research project, we collaborated with colleagues at Museu de Arte Contemporanea de Universidade de São Paulo, Brazil and The Metropolitan Museum of Art. 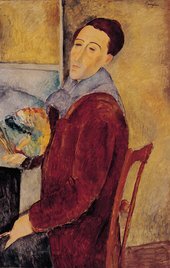 Their analysis provided new insights into the materials and methods behind two of Modigliani's most important paintings; Self-Portrait 1919 and Jeanne Hébuterne 1919. Together with new technical imaging, this research allowed us to portray these artworks with painstaking accuracy, from the surface texture of the canvas, to the types of paint and brushes the artist may have used, to the type of stretcher the self-portrait may have originally been painted on.